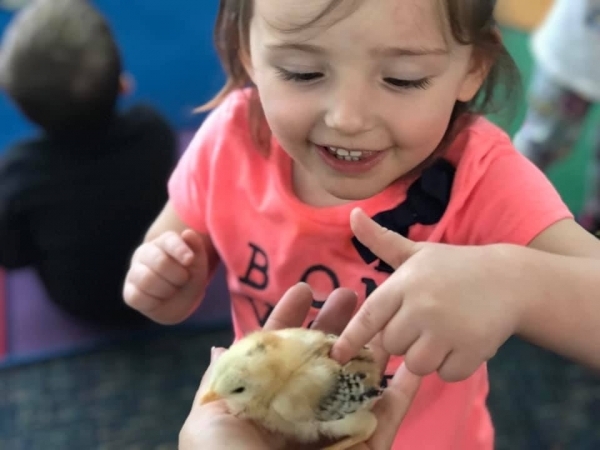 It's farm week at Kids Kare! We're learning all about the different animals we can find on a farm, such as pigs, cows, chickens and horses to just name a few! 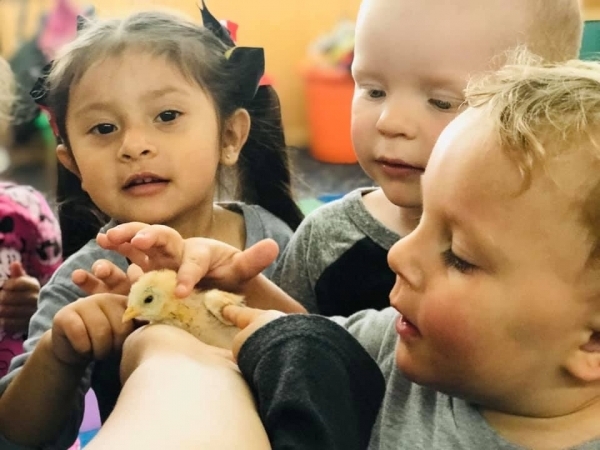 And farm animals are apart of our dramatic play this week, which means we get to dress and act like farm animals. Acting like a pig was the most popular one! 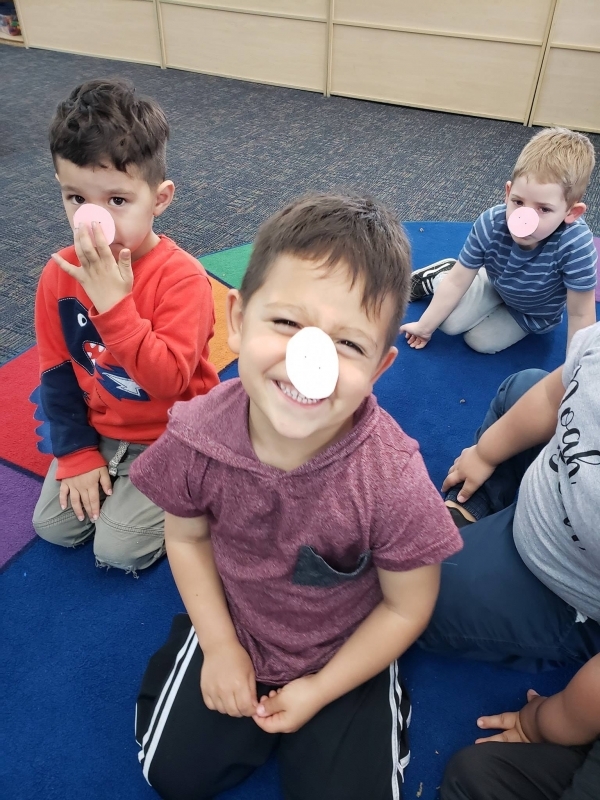 We got to put on our pig noses and put on our best "oinks"! Some of us even got to meet some special guests known as chicks! We love the farm!